Summer is just about over, so each visit to Pete’s becomes a little more sweet. This is such a wonderful place to visit, shop and photograph, especially in summer. However, fall is not so bad either! It seems like just yesterday school was letting out and we were waiting for those first bushels of corn! As our thoughts turn to homework, bonfires and pumpkin carving, Pete’s Produce is right on board with a great selection of local produce and plants for eating, planting and decorating! Growing up in Lehigh County, which was filled with farms, I have fond memories of going to the local roadside vegetable stand with my mom and aunt during the summer and fall months. Pete’s brings back that nostalgia of buying from the local farmer, but none of our farm stands had the sophistication and selection of Pete’s! I love the fact that Pete’s produce is grown locally, much of it on site. For one, the 170 acres of land (owned by Westtown School) that make up the farm keep the views on Route 926 beautiful and green. Secondly, it’s nice to know where your produce is coming from, reducing transportation so that everything you eat is literally “farm fresh.” And, what they don’t grow themselves, they get from other local growers so everyone benefits. According to Danni Hayes, the store manager, Pete’s gets their variety from growers such as S.I.W. 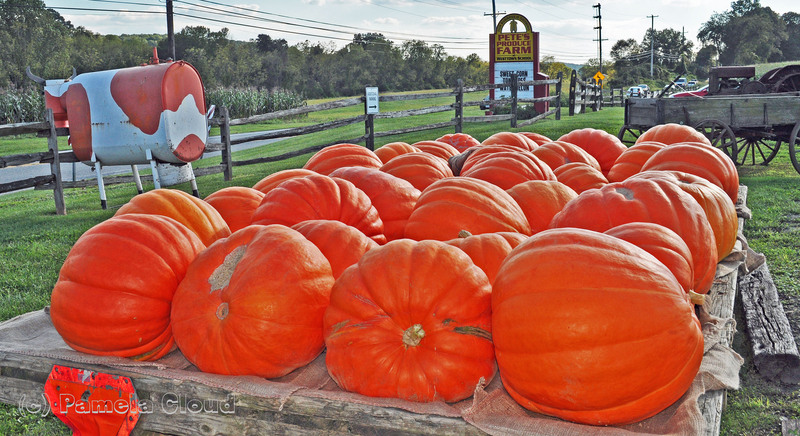 vegetables in Chadds Ford, Linvilla Orchards in Media, Weavers Orchards in Morgantown, Pa, Glen Willow Orchards in Avondale and the Lancaster Produce Auction. Some of their own food is grown for the Chester County Food Bank, and Pete himself sits on its Board. 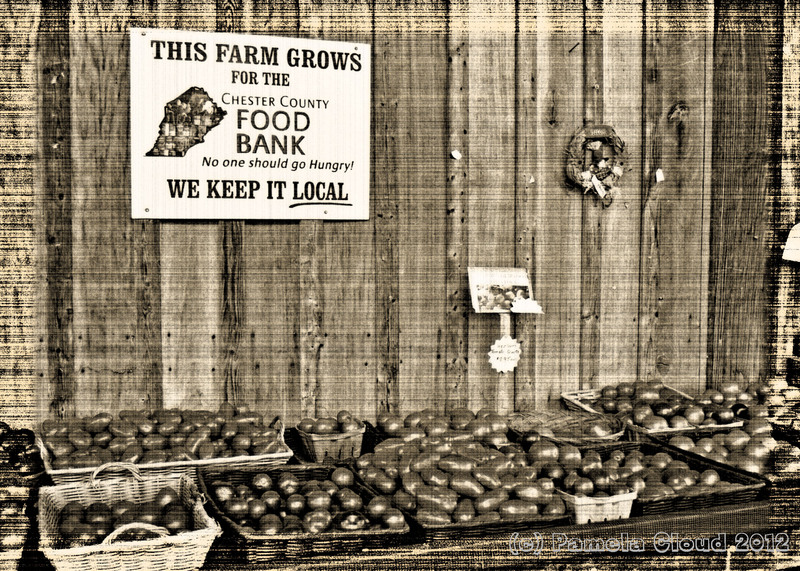 Pete’s also grows and donates to the Chester County Food Bank. It is a truly a treat to buy and eat sweet corn the day it is picked. It almost doesn’t need to be cooked! Not everyone has access to this kind of food and I feel grateful that as a local resident, a trip to Pete’s doesn’t put me out of my way. However, Pete’s corn itself has a grand following and customers come from as far as King of Prussia and Wilmington Delaware–it’s that good! And, if you’ve ever compared a fresh strawberry to one of those “perfect” jumbo strawberries found in the grocery store, you’ll know what I mean when I say they don’t even tast the same. Nothing compares to freshly picked berries. These look divine! I also love the fact that Pete’s carries lots of other goodies for the food lover and cook in me: balsamic vinegars, good olive oil, local honey. To keep the children that shop with you satisfied and their taste buds busy, Pete’s is kind enought to offer slushies and ice cream and an assortment of packaged goods from chips to dried fruit. Pete’s merchandising is A-plus in my book, because it makes healthy and sustainable eating cool and fun for adults and children alike. Here is the inside of the store. Open, airy and visually appealing. It makes you want to look at everything! 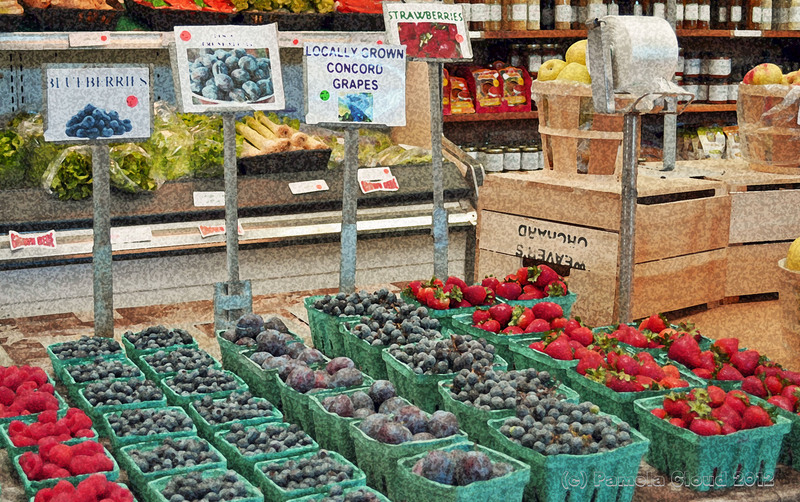 Just as the grocery store offers candy and celebrity gossip magazines at the register for impulse purchases, Pete’s assortment of homemade cookies, brownies and freshly picked bouquets at the checkout are hard to resist! The only difference is, most of these impulse purchases are good for you! 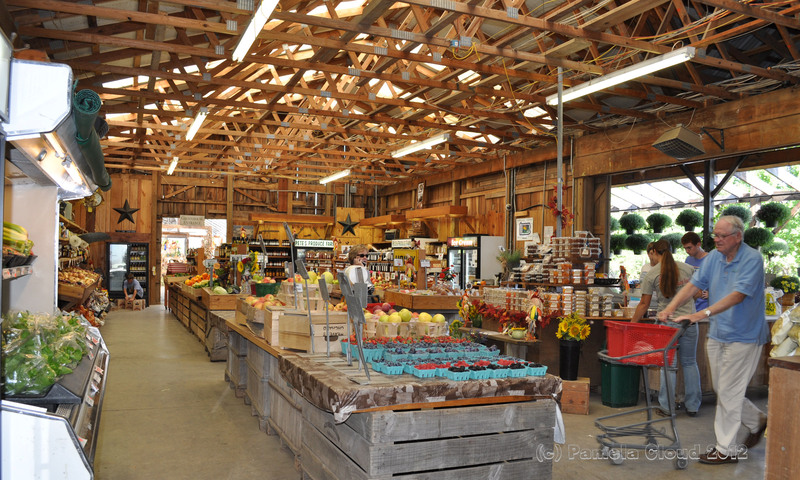 Pete’s Produces is located on Route 926 in Westtown Township in Chester County. Pete’s is not a CSA, which I’ve written about before, but an irrestistable farm stand that gives customers a fun place to shop and access to locally grown produce seven days a week. I had to laugh as I was taking these photos; a friendly customer stopped to compliment me on the wonderful display. The former florist in me was flattered that she thought I had created it, but I came clean and said I was merely writing about a place that I love. Boy, I didn’t even talk about the mums, plants and other great things they have for sale on the outside! Please take a look at my slide show–a picture’s worth a thousand words! Click Here for a List of Homes for Sale in West Chester! Call me to narrow your search!